Last year we had to turn away 300+ qualified leads. After four years of trial and error, Venture Harbour reached full-capacity, with 100’s of leads on a waiting list. I say this not to brag, but to provide some credibility before I share any advice. In this article, I’ll outline five of the most effective strategies I’m aware of for generating a steady stream of ‘bread and butter’ leads for your agency, followed by five tactics to attract big accounts. Whether you’re an established creative agency, a leading management consultancy firm, or a startup SEO consultant, I encourage you take action on this information to build a scalable lead generation machine that takes your business to the next level. Most agencies and consultancies use dull, out-dated forms on their websites. These cost agencies a lot of leads (we were no exception). Your form is the final step in the lead generation marathon – it literally separates your leads from your non-leads, and therefore has significant influence over how many leads you receive. Simply put, the better your lead capture forms, the more leads you receive. At Venture Harbour, I continually optimised our form using Leadformly, ultimately increasing the conversion rate of the site from 0.96% to 8.1%. 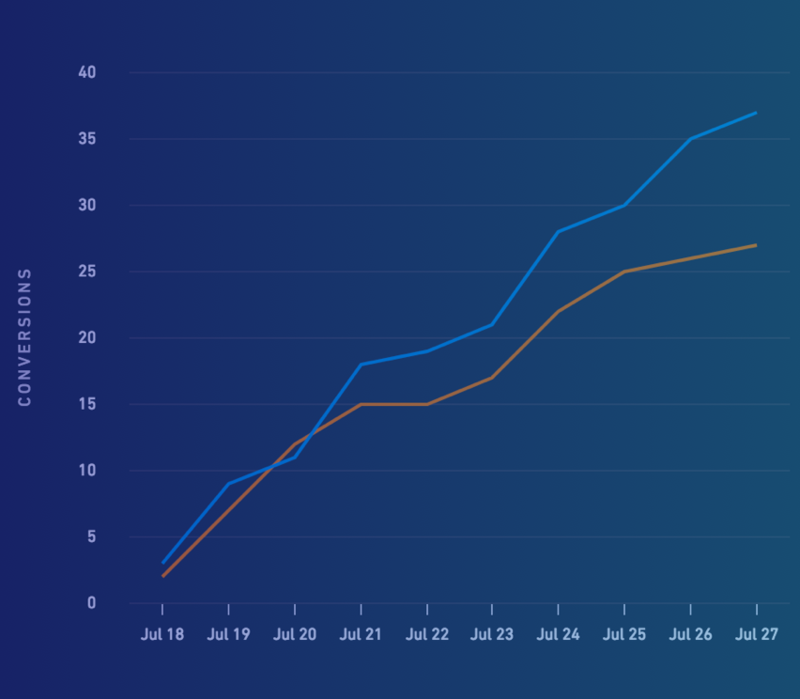 Not only did this skyrocket our leads, but our cost of acquiring a lead was now much lower, opening doors to new acquisition channels. So, how do you improve your form? 1. What will you do for them? 3. How are you different from everyone else? 4. Do you know what you’re talking about? So give it to them. 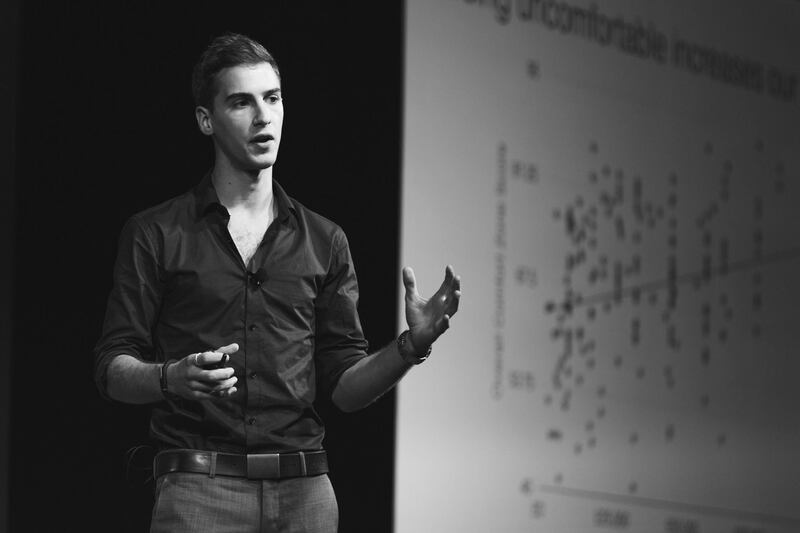 Between 2012 and 2015 I spoke at almost any conference, meetup, or event that would let me step on a stage. Anything from a 20-person meetup in London, to a TED conference in Australia. While speaking at established marketing events is great for credibility, they’re often ineffective for generating leads. First of all, there are too many competitors pitching for the prospect’s attention. It’s like trying to promote your book in a book store: Unless you have something truly exceptional to say, you’re soon forgotten. The bigger problem, though, is that most of the audience assumes that you’ll be busy after your talk – so relatively few people come up to speak to you. In contrast, at a small event with 50-100 people you’re seen as more accessible. As a result you have more (and deeper) conversations that turn into better leads, and more clients. Get an extended trial period! Last year, I spoke at a forex conference in Cyprus. We had just started working with a client in the forex niche, so I flew to this event to meet them and learn about their industry. To make the most of my time there, I offered to give a keynote on marketing automation. I came away with more leads than I’ve ever received from any event I’ve spoken at. How? I was one of the only digital marketers at the event. The audience was full of CMOs and marketing directors from banks and other financial institutions, but no other agencies or marketing consultants were competing for their attention. People quickly assumed that I was an expert in forex digital marketing, which led to more financial speaking events and opportunities to write for financial publications. I observed a similar phenomenon speaking at conferences in the music industry. When you attend or speak at industry-specific verticals, you’re seen as the expert in that field. My advice? If you want to get leads from speaking, zig where everyone else is zagging. No company wants to hire an agency or consultant that isn’t an expert in their field. Our BS radars have become so good that as an agency you must show, not tell, that you’re the authority. Reciprocity – according to Dr. Robert Cialdini, people are hard-wired to want to repay favours, even when it’s totally irrational. It was found, for example, that people are more like to buy a car at a dealership if the sales person gave them a free coffee. By giving a free webinar, your leads are more likely to reciprocate by signing the contract. Authority – your webinar positions you as the authority on your topic. Likability – we’re more likely to buy from people we like. A webinar is an opportunity to spend an hour with a prospect where they’re listening to your voice, developing a relationship, and building rapport. Scarcity – Many webinars end with an offer such as ‘The first X companies get started with our agency from this webinar will get a free Y’. This scarcity increases the likelihood of your leads taking action. At Venture Harbour, we use WebinarJam to run webinars. This tool allows you to run polls, display timed offers, and even pre-record your webinar and have it play once a week, and much more. If you’re interested in watching one of my webinars, I host a free webinar for Leadformly on ‘How to acquire 300% more leads without increasing your traffic’, which you can secure your spot for here. In it, I share even more techniques that can be used by agencies and consultants to capture more leads. If we apply the 80/20 principle to content marketing, 80% of your leads will come from 20% of your content. If you can identify what 20% of content would be most effective, you can get 80% of the rewards for only 20% of the effort. This is where low-frequency content marketing comes in. Instead of creating content on a daily or weekly basis, slow down. Spend at least 40 hours on every piece of content you product, and make it exceptional. If your dream clients are film companies, create the ultimate guide to digital marketing for film companies. Continually refine this piece of content to make it 10X better than the next best piece of content on the topic. From my experience, this approach to content marketing and blogging yields significantly higher quantity and quality of leads. Lets be clear, outbound sales does not mean cold-calling. Builds a qualified prospect list for you – by pulling in public data on company financials, technology used on their website, and other public data that can be found online. If your clients typically have over £10m in annual revenue, are based within 100 miles of London, and use a premium CRM like Pardot or Marketo, you can automatically build a list of all of the companies that meet this criteria (I’ll explain how in a moment). Automatically reach out to these companies – You can then automatically trigger a personalised introductory email to all of the prospects that meet your ‘typical client profile’. The ones that respond are then handed over to your sales team. This means that your team no longer needs to spend time prospecting, and can focus 100% of their time and effort on the leads that have the highest likelihood of closing. The best tools for this are Datanyze and Growbots. They’re not cheap – but if you’re spending a lot of time finding prospects for outbound sales, this will save you a lot of time. If you want to attract clients with big budgets, you either need a referral network, or to create word of mouth. Ideally both. As word of mouth is slightly more elusive, I’ll focus on how to build a referral network. Upstream services – If you’re an SEO agency, an upstream service might be a web design agency, a PR agency, a venture capital firm, or a marketing training company. These companies will typically have influence into which SEO agency their clients choose. Other agencies – While it may seem counter-intuitive, other agencies are a great source of leads. First of all, another agency’s bad-fit client may be a dream client for you. Also, when an agency (like ours) is at full-capacity, they need other agencies to recommend. Niche partners – If your agency specialises in consulting to hotels, it makes sense to partner with organisations and associations that are well-connected within the hotel industry. 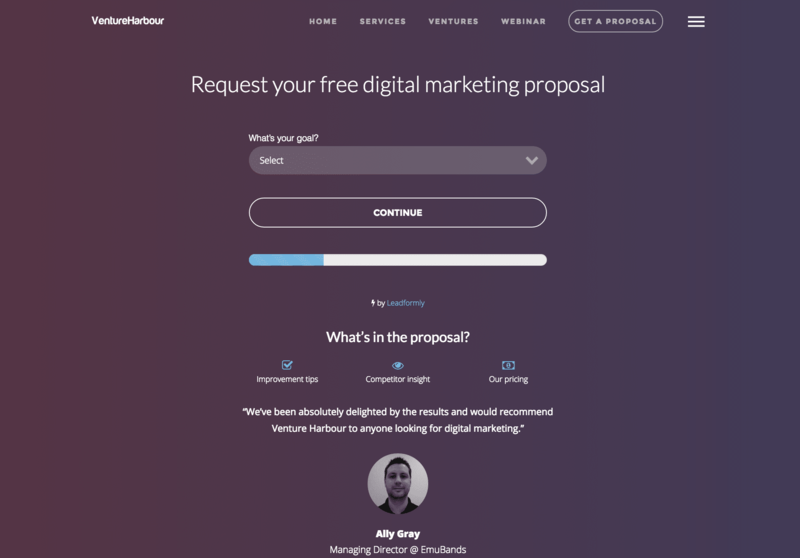 The majority of Venture Harbour’s best leads come from our ventures, such as MarketingAutomationInsider.com (a site we built to help marketers find the right marketing software). I’ve noticed that more and more agencies are combining the agency model with either SaaS or information products. 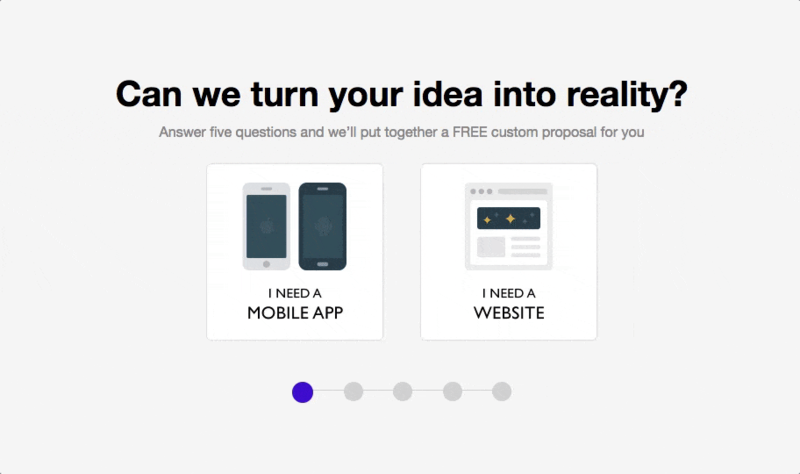 By building complementary tools or products, you can not only cross-sell and create new revenue streams, but you can also market your agency services to the people who’re signing up for these products. Screaming Frog is a fantastic example of this. 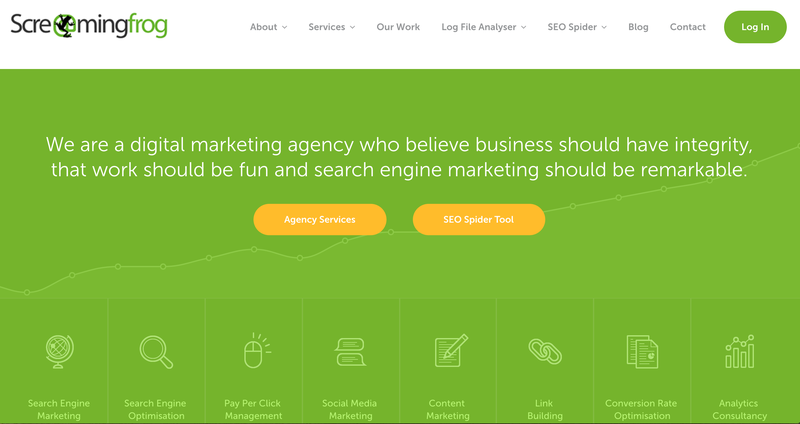 With their software widely loved by the SEO community, many people don’t even realise that Screaming Frog is actually an agency. While conferences and events (including meetups, dinners, and award ceremonies) may not be the best standalone business model, they are a great way to boost your influence in your industry or niche. When you run the events in your niche you become a de-facto authority. This attracts publicity opportunities, enables high-potential networking opportunities, while insulating your agency from the competition as you’re able to somewhat control who can access your event’s audience. Above all else, though, it gets you out of the office and into a room full of potential clients. Combined with a steady flow of beers, and valuable insights on who’s attending, it’s a clever and underused strategy for topping up the top of your sales funnel. For similar reasons as above, authors are widely perceived as authorities. Sending a copy of your book to leads is a great way to differentiate your agency, while putting your agency’s brand front and center in your leads’ day-to-day lives for a few weeks. If you’re able to secure a publisher it can also be an effective way to reach an even larger audience of potential leads. Just remember that most (reputable) publishers require you to put in a lot of public speaking work to more or less guarantee at least 10k-20k book sales within the first year. 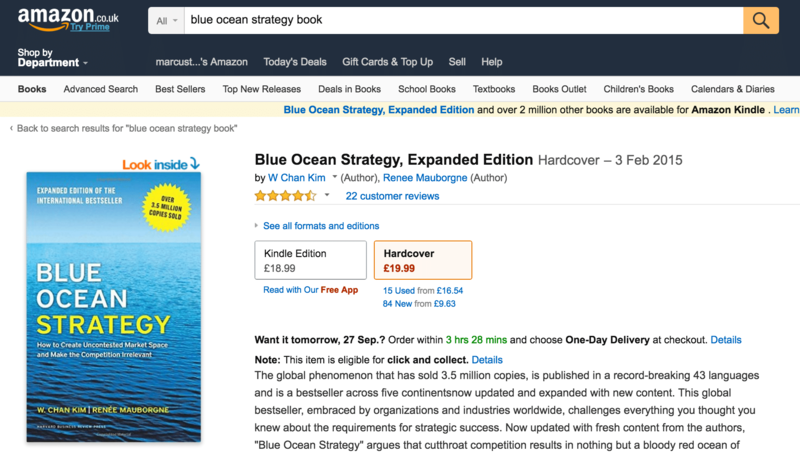 A great example of this is Blue Ocean Strategy, which has sold 3.5 million copies promoting The Boston Consulting Group’s infamous strategic principles. One of the best ways to get more business is to simply ask for it. Try this: Create a list of no less than ten companies that would be your ideal leads. These must be companies that you can genuinely offer transformational results to. Once you have your list, use email hunter to find relevant contacts at each of these companies, and then reach out. Your email needs to sincerely explain why you want to help them and what you believe you can do for them. Be specific, and don’t copy and paste the same email. I guarantee that you’ll receive at least one very high quality lead from this, and most likely a new client.